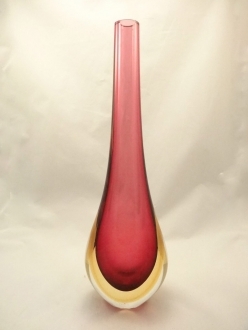 The history of Murano glass industry starts in 1291, when the glass blowing industry was shifted wholesale to the small island of Murano in the Venetian lagoon, away from the main land of Venice. There, isolated from the rest of the world, the art flourished to an incredible level. 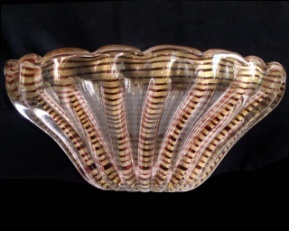 The master glass artists devoted their time and energy solely to the techniques of glass art and invented techniques that produced hitherto non-existent and spectacular glass objects. Four years after the shifting of the industry to the island of Murano, in 1295 a master glassblower named Jacobellus Barovier founded the Barovier glass works. 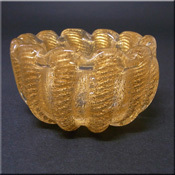 They were specialized in high quality Venetian glass. The glass blowing techniques were constantly subjected to research and experiments under him. In 1450 one of the Barovier predecessors invented the Venetian crystal glass, which was greatly admired. His nephew Anzoletto Barovier had assisted him in accom plishing this great achievement. Thereafter, the Barovier glass masters went on to add perfection and variety to the art. 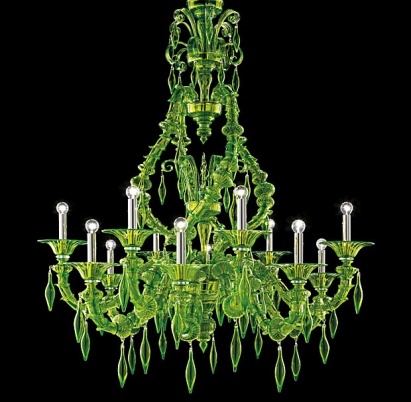 During the 16th century, with the rest of the murano glass industry, the Barovier concern also rose to the zenith. During the 17th century the enterprise which had attained great size by this time, divided itself into three glass blowing concerns under three different heads. They also adopted three different trade marks to facilitate distinction. The three crests were the image of an angel, a bell and a star. 18th century found the Baroviers developing colored glass and creating surprisingly beautiful products with it. The Barovier products displayed an array of very innovative and elaborate designs and patterns. But during the latter half of the 18th and throughout 19th century the Murano glass industry suffered a terrible decline. Still the Baroviers survived and tried to bring the industry back to its old glory. In 1878 Benvenuto Barovier associated himself with Giovanni Antonio and formed an association, master glass blowers of ‘Salviati’, which blew a new life into Murano glass industry. During the 20th century, a number of new partners joined the Barovier glassworks. So in 1919 the name was changed into ‘Vetreria Artistica Barovier & Co’. Ecole Barovier was the chief designer. He was a master craftsman of incredible prowess. He developed a plethora of new techniques and got patents for them. He experimented with colors and came up with techniques like Brillantati, Zebrati, Cordonato d’Oro and the like. He was conferred with the title ‘Cavaliere del Lavoro’ by the Italian Government. This is the highest title awarded to an entrepreneur. 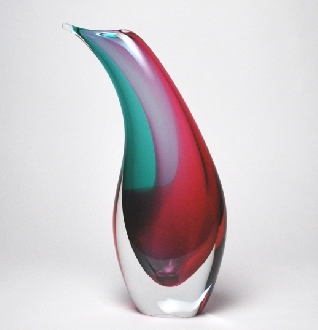 In 1936 Barovier joined with another leading glass works ‘Fratelli Toso Glass Works’ and now it is called ‘Toso & Barovier’. Currently, it functions from Palazzo Contarini. At present it is headed by Giovanni Toso. 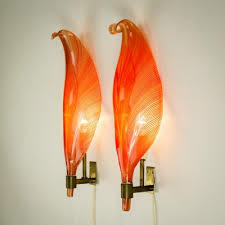 Taso & Barovier is one of the oldest family concerns that specialize in Venetian glass light fixtures. 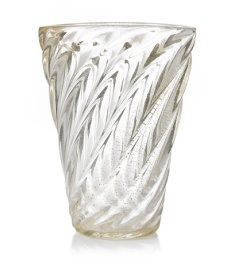 They produce crystalline glass, mother-of-pearl glass, cornelian red glass etc. 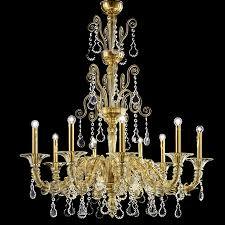 Their chandeliers and other lighting accessories are accepted as the benchmark in style and quality all over the world. The glass works that have grown through centuries to its present stature has been the recipient of innumerable awards and accreditations. The Taso & Barovier possesses a museum of its own at Palazzo Contarini. 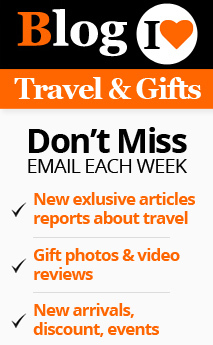 Besides, many of their products adorn numerous other art museums dotted across Italy. 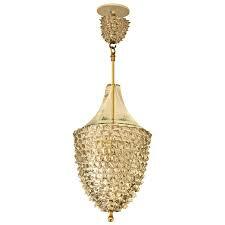 Their light fixtures include chandeliers, pendent lights, table lamps, side sconces and floor lamps. Their ‘Taif chandelier’ has earned them great fame. It was an elaborate and highly artistic chandelier made for the Saudi King’s home in a place called ‘Taif’ and hence the name. The present creations of Taso & Barovier are a happy combination of traditional and contemporary design. This accounts for the vast popularity enjoyed by these glass products. 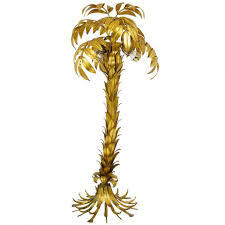 They are highly innovative and decidedly modern.